If you’ve been following Effects Bay for any time, you know I like to post deals. We all like deals (and give aways) along with gear nerdery talk. I might be late to the party, but I recently found out about Musician’s Friend Backstage Pass. And.. it’s pretty brilliant from a business point of view. Basically, you become a member (which is free) and you start adding up points on your purchase. They also offer 2x and 3x points on certain products to help you get more points. You can then use those points against purchases down the road. I’m a big fan of cash back rewards on credit cards – so this totally reminds me of this. You’re going to spend anyway, and you get some extra love for stuff down the road. With Backstage Pass you get free shipping on EVERY product in the contiguous 48 states. You also get in on the Members-Only deals. If you shop at Musician’s Friend on a regular basis – this might be your jam! Here is a link to their FAQ for more answers to your questions. If you’re a member yourself, I would love to hear your personal experience with this service. Please comment below! Full disclosure.. I am a member and an affiliate! 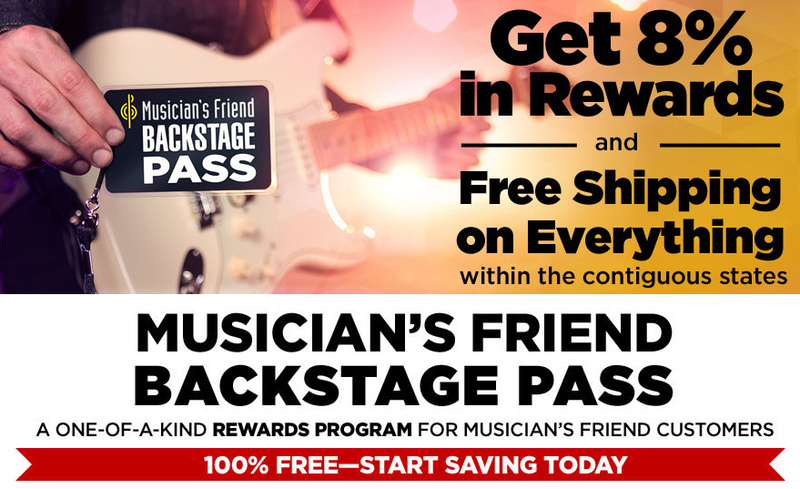 The post Musician’s Friend Backstage Pass appeared first on Effects Bay. Hear Joe Satriani's New Song, "Headrush"